India, a culture that witnessed the dawn of civilisation. That witnessed the rise of other cultures and watched them turn to dust. It has been celebrated and attacked. Admired and vilified. But through all these millennia, after all the ups and downs of history, it's still here! And now, after a few centuries of decline, it's driving a new dawn once again. Ajanaabhavarsh. Bharat. Hindustan. India. The names may change, but the soul of this great land is immortal. 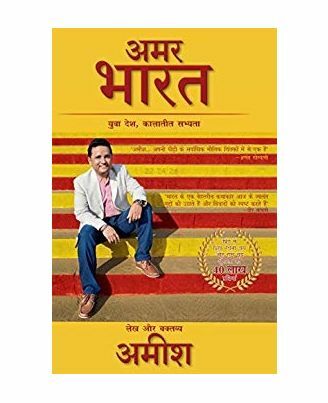 Amish helps you understand India like never before, through a series of sharp articles, nuanced speeches and intelligent debates. 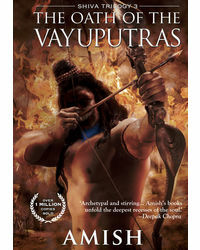 Based on his deep understanding of subjects such as, religion, mythology, tradition, history, contemporary societal norms, governance, and ethics, in Immortal India: Young Country, Timeless Civilisation, Amish lays out the vast landscape of an ancient culture with a fascinatingly modern outlook. India, a culture that witnessed the dawn of civilisation. That witnessed the rise of other cultures and watched them turn to dust. It has been celebrated and attacked. Admired and vilified. But through all these millennia, after all the ups and downs of history, it's still here! And now, after a few centuries of decline, it's driving a new dawn once again. Ajanaabhavarsh. Bharat. Hindustan. India. The names may change, but the soul of this great land is immortal. Amish helps you understand India like never before, through a series of sharp articles, nuanced speeches and intelligent debates. 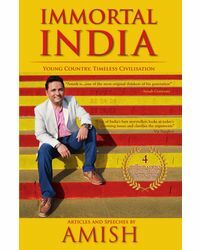 Based on his deep understanding of subjects such as, religion, mythology, tradition, history, contemporary societal norms, governance, and ethics, in Immortal India: Young Country, Timeless Civilisation, Amish lays out the vast landscape of an ancient culture with a fascinatingly modern outlook.